The Messolongi lagoons in Greece are part of a protected NATURA wetland. 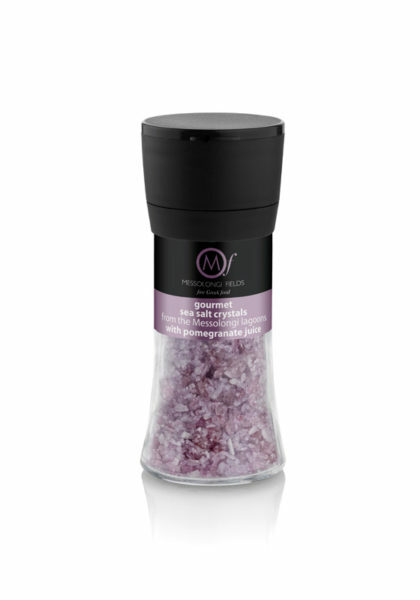 Its sea salt crystals are very pure, naturally dried in wind and sun, and rich in beneficial minerals. With real pomegranate juice, this is a mineral and antioxidant boost for any dish.